Located at the southernmost point of Alabama- 3 miles south of the Mobile Bay- Dauphin Island offers an authentic taste of the beautiful Gulf Coast. It is a quaint southern town with miles of uncrowded, pristine beaches, excellent fishing and a historic, storied past. Dauphin Island has been designated as the “Sunset Capital of Alabama,” so you haven’t lived until you’ve experienced one for yourself. With a strong marine culture, an electric mix of locally owned shops and galleries, and laid-back restaurants that serve delicious locally harvested seafood, Dauphin Island is a wonderful place to live. Home to historic Fort Gaines, Dauphin Island Sea Lab and Estuarium, and Audubon Bird Sanctuary. 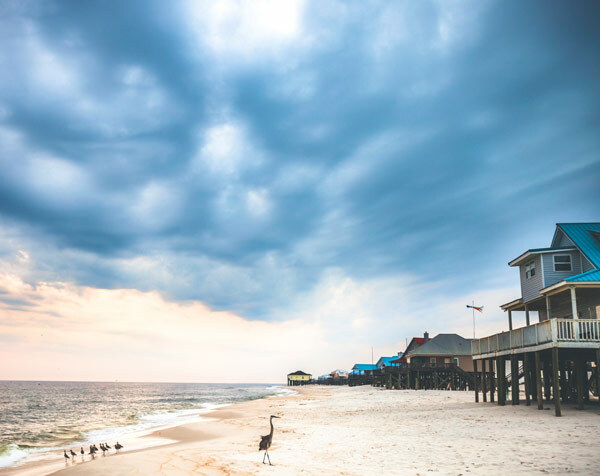 Dauphin Island has been the sandy backyard for generations of Mobilians, as well as a popular beach destination for thousands of tourists each year who prefer a simpler, beach experience. Attractions: Sand Island Lighthouse, Public Beaches, Boat Ramps and Piers. Areas All Areas East/Downtown Mobile - Downtown - Midtown South Mid Town - Midtown East - Dauphin Island Parkway North - Midtown West Mid Mobile - Municipal Park/West Central - Springhill - Cottage Hill, North - Cottage Hill, South West Mobile - West Mobile - Tillman's Corner - Grand Bay North - West Mobile Co. - West Mobile Semmes - Semmes/Wilmer/Lott Road. South Mobile - Western Bay Shores - Dauphin Island Parkway South - South Mobile Co./Theodore North Mobile - Mid Central - Eight Mile/Prichard - Chickasaw - Saraland - Saraland/Satsuma/Axis/Creola - North East Mobile Co. / Mt. Vernon - Northwest Mobile Co. Citronelle Dauphin Island - Dauphin Island Baldwin Co. - North Baldwin - Central Baldwin - Daphne/Montrose/Spanish Fort - Lake Forest - Fairhope / Point Clear - S. Baldwin / Gulf Shores Washington County - All Washington Co.